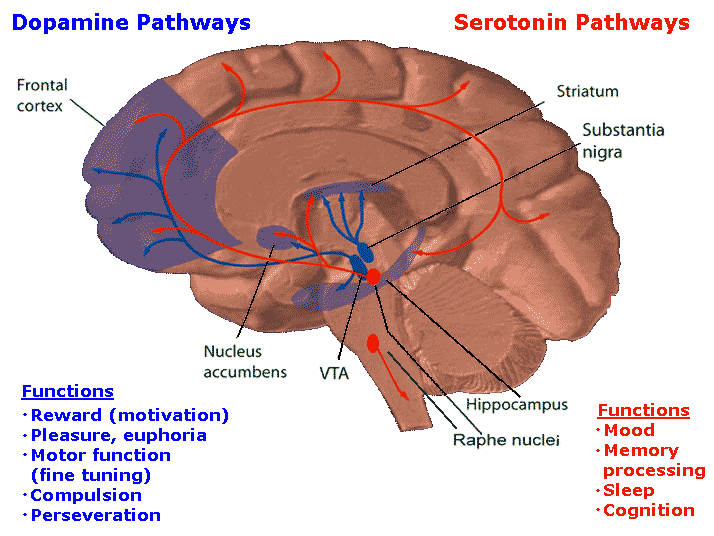 The Thalamus and Diencaphalon (From: Neuropsychiatry, Neuropsychology, Clinical Neuroscience, 2000, Academic Press). With the notable exception of olfaction, all sensory input is first projected to the brainstem (Blessing, 2007; Vertes, 2010) and is then relayed to the immediately adjacent thalamus and hypothalamus--collectively referred to as the diencephalon ("between brain"). 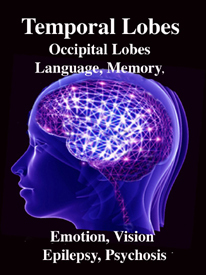 The diencephalon represents that rudimentary aspect of the unconscious mind that generates vague sensory impressions and diffuse emotions (Dreifuss, Murphy, & Gloor, 1968; Joseph, 1992a; Olds, 1956), including pain (the thalamus), and hunger, thirst, sexual arousal, or depression and rage (the hypothalamus). Like the brainstem, the hypothalamic portion of the diencephalon does not think or reason, but reflexively reacts--often in response to amygdala input, in which case it remain active for an extensive period of time (Dreifuss, et al., 1968; Rolls 1992). Nor are the emotions generated by this portion of the brain well differentiated. The hypothalamus may feel pleasure in general, or depression in general, or enraged in general with no differentiation, specificity, or concern for consequences other than the satisfaction of internal needs. By contrast, considerable information and cognitive pre-processing occurs within the various subdivisions of the thalamus, such as the the lateral and medial geniculate nucleus (LGN & MGN), the pulvinar, the motor and subthalamus (M/ST), and the dorsal medial nucleus (DMN). These structures play a significant role in processing auditory (MGM) and visual input (LGN), the guidance of motor functions (M/ST), and the regulation of attention and arousal (DMN). For example, the LGN receives visual input directly from the retina, and then transfers this information to the visual cortex (Casagrande & Joseph, 1978). The MGN receives auditory input from the midbrain and transfer this information to the auditory cortex (Amaral et al., 1983; Pandya & Yeterian, 1985). The dorsal medial and reticular thalamus exert regulatory influences over neocortical, striatal, and limbic system arousal and influence memory and attentional functioning (Joseph, 1999a; Skinner & Yingling, 1977; Yingling & Skinner, 1977). 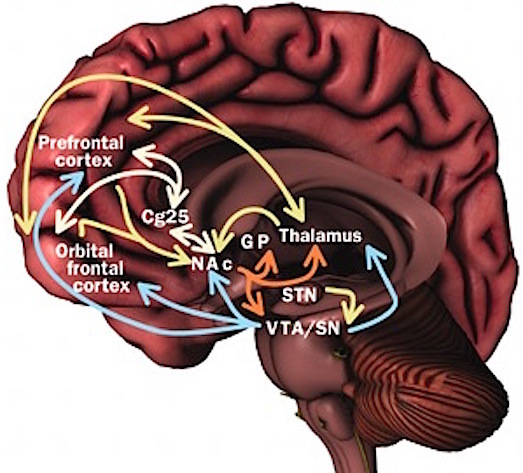 In addition, the subthalamus, which is intimately associated with the amygdala, the motor thalamus and the striatum, participates in the organization and expression of gross purposeful affective-motoric behaviors (Crossman, Sambrook, & Mitchell, 2007; Parent & Hazrati, 1995). Thus the subthalamus (and striatum with which it is also intimately associated) can trigger running, kicking, punching, flailing, and a variety of oral and emotional facial expressions, or conversely "freezing" in reaction to extreme fear. The striatum and subthalamus act as an emotional-motor interface which enables humans (and other animals) to express their emotions through body language and facial expression. Because of their role in guiding and controlling motor activities, if the subthalamus or motor thalamus is injured, patients may demonstrate a variety of hypo- or hyperactive motor abnormalities including rigidity, catatonia, and catalepsy, or conversely tremor and uncontrolled ballistic movements such as kicking, flailing, and so on (Crossman, et al., 2007; Parent & Hazrati, 1995; Royce, 2007). Although capable of experiencing pain, the mental and perceptual functioning of the thalamus occurs outside of conscious awareness. 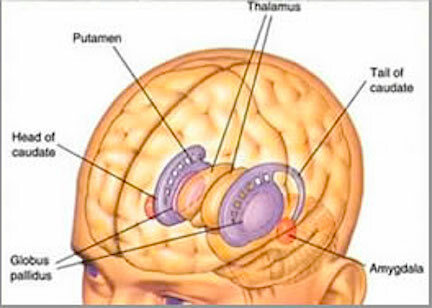 Rather, the functioning of these various thalamic subdivisions occurs in a mental realm best described as the "preconscious;" acting to provide the conscious mind with its sensory and perceptual contents by relaying data from the brainstem to the neocortex as well as to the limbic system. The frontal lobe, hippocampus, and the amygdala appear to share major roles in regard to neocortical activation and thus memory storage and retrieval, and all appear to partly relie on the dorsal medial thalamus (DMT) and anterior thalamus in this regard. 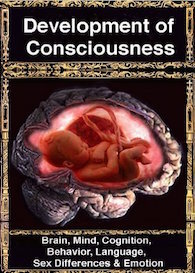 The DMT (and the thalamus in general) are highly important in transferring information to the neocortex, and is involved in peceptual filtering, and exerting steering influences on the neocortex so as to direct attention (see Chapter 19). When damaged, there can result a dense verbal and visual anterograde amnesia (Graff-Radford, et al. 2010; von Cramon et al. 1985) as memories cannot be selectively stored or activated. The DMT and anterior thalamus are able to perform these functions via inhibitory and excitatory influences (mediated by the frontal lobe and to a lesser extent, the hippocampus) on neurons located in the neocortex, limbic system, and reticular activating system. For example, the DMT and frontal lobes monitor and control, at the neocortical level, all stages of information analysis, and insure that relevant data and associations are shifted from primary to association to multi-modal associations areas so that further processing can occur. 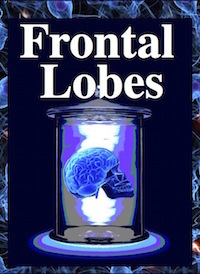 This is made possible since the frontal lobes are interlocked with the first, second, and third stage of neocortical information processing, and simultaneously projects to these neocortical regions and the DMT (see chapter 19) which enables it to exert inhibitory, facilitory influences so as to selectively gating information reception and processing. Hence, the frontal-thalamic system can act to inhibit further processing and/or prevent this information from reaching the neocortex in the first place; i.e. 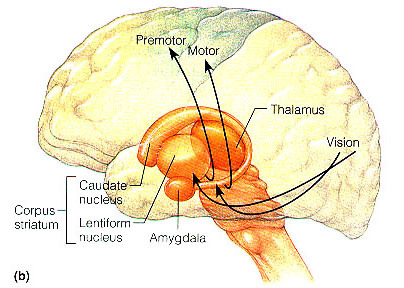 at the thalamus prior to transfer to the neocortex, and at the level of the neocortex to prevent further processing. 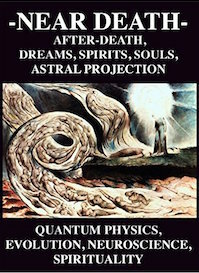 In this way, distractions and irrelevant stimuli may be filtered so that salient events may be attended to. 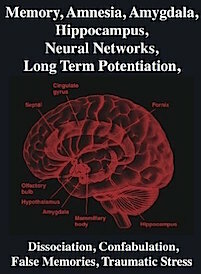 DMT, FRONTAL LOBES, KORSAKOFF'S SYNDROME, SEARCH & RETRIEVAL Through the widespread interconnections maintained by the frontal lobes, hippocampus, and thalamus, specific neuronal networks and perceptual fields can be selectively inhibited or activated, so that information may be processed or ignored, and so that conjunctions between different neocortical areas can be formed. These nuclei therefore directly mediate information processing, memory storage, and the creation of or additions to specific neural networks via the control of neocortical activity. The frontal lobe and anterior and dorsal medial thalamus are also involved in search and retrieval, for these aspects of memory are severely disrupted with damage to the frontal lobes and dorsal medial nuclei, whereas recognition memory may remain much more intact (Graff-Radord, et al. 2010; Squire, 1992). However, recognition memory may be impaired as well. For example, one such patient (who, however, also had atrophy involving the mammillary bodies) was not only unable to recall that he had been a patient at the hospital for over a month, but repeatedly claimed to be "working" as a "janitor," and that he would be "going home at quitting time." However, when he was shown his hospital room and clothes, although he recognized the items as his, he persisted in claiming he was at work and that was the reason his clothes were in the hospital room was so he could change before leaving to go home (Joseph 1986a). 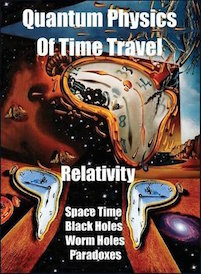 As per the mammillary bodies (a structure also associated with memory), the hippocampus also maintains interconnections with this tissue (Guillary, 1956; Nauta, 1958), and "diencephalic" amnesia is a not uncommon manifestations of mammillary injury (Victor & Adams, 2013; Victor et al., 1971). 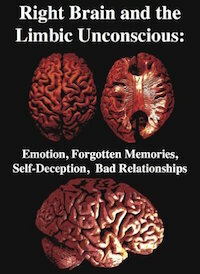 Hence, when the frontal lobes and DMT and anterior thalamus are damaged, the ability to shift from one set of perceptions to another, or to selectively retrieve a specific memory, or to inhibit the activation of irrelevant ideas, associations, memories, and thoughts, is significantly impacted, and the patient may confabulate and produce "false memories" (Joseph, 1986a, 1988a, 1999a). The ability to alternate between and thus selectively activate specific neural networks is also disrupted, such that patients have difficulty shifting from one train of thought to another. That is, they may tend to become stuck in-set and to engage in recurrent perseveration (Joseph, 1986a, 1999a; Vikki, 1989) such that the same speech patterns or "memories" may be repeated unless something occurs to arrest and shift their attention. Hence, with frontal-thalamic damage, retrieval is impaired as is the ability to selectively recall of shift between old versus recent memories, and to keep track of the order in which they may have been formed e.g. morning, evening, yesterday, last week, five years ago and so on (see Graff-Radford, et al. 2010; Squire, 1992; Talland, 1961). Therefore, a patient may deny possessing a certain memory of an event which occurred five weeks ago, because he is searching his memory store for events which were experienced five years ago or five days ago. For example, one patient with severe frontal lobe damage claimed to have never been married and laughingly indicated that he never wanted to get married and that marriage was a bad idea. When pressed as to why, he exclaimed that "the wife may just up and die on you," and then began to laugh quite loudly and then just as suddenly began to sob and cry. When asked why he was crying, he claimed not to know why. However, when he was reminded that he had been married, he was suddenly able to recall that his wife (of two years) had been killed in the same accident that resulted in his injuries. Another patient with anterior and dorsal medial thalamic damage erroneously stated that the president was Lyndon Johnson. However, when told the correct date ("1982") she correctly named Ronald Regan (Graff-Radford, et al. 2010). Thus "time sense" and capacity to selectively search memory may be disrupted with frontal-dorsal medial dysfunction; a condition which is also characteristic of Korsakoff's syndrome. For example, Talland (1961, p. 375) described one woman with Korsakoff's disease who "after ten year's hospitalization continually maintained that she has been brought in the previous day for observation." When questioned she also argued that she still lived with her husband in a fancy hotel, where she had lived "the life of a well-to-do lady of leisure. She seemed unaware that the conditions of that very agreeable life had long since ceased to operate." Individuals suffering from Korsakoff's syndrome demonstrate profound disturbances of memory, including a dense verbal and visual anterograde amnesia (Aggleton & Mishkin, 1983; Graff-Radford, Tranel, Van Hoesen & Brandt, 2010; Victor et al. 1989; von Cramon et al. 1985) and in some cases a more temporally graded memory loss for the remote past (Squire, 1992) --although the hippocampus is intact. 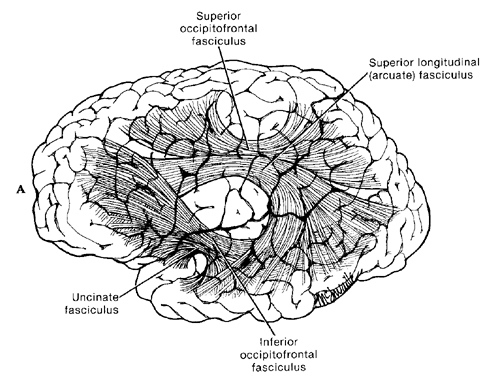 Rather, in Korsakoff's syndrome, damage typically involves the dosal medial nucleus of the thalamus and atrophy of the frontal lobes (Aggleton & Mishkin, 1983; Graff-Radford, et al, 2010; Lishman, 1981; Mair et al., 2009; Victor et al. 2003; von Cramon et al. 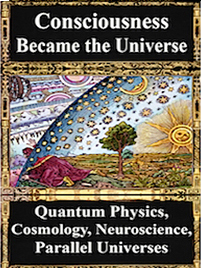 2015; Wilkinson & Carlen, 1982) as well as the mammillary bodies (Victor & Adams, 2013; Victor et al., 1971); i.e. "diencehalic amnesia". 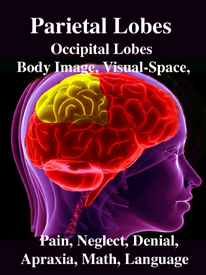 Nevertheless, recognition memory may be partially intact, and with selective reminders and reorientation, the retrieval deficits associated with frontal/dorsal medial damage can sometimes be partly overcome. 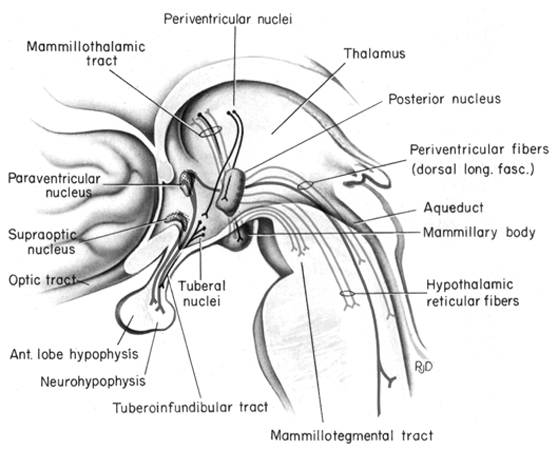 As noted, the mammillary bodies are interconnected with the hippocampus also maintains interconnections with this tissue (Guillary, 1956; Nauta, 1958), as well as to the hypothalamus and brainstem reticular formation, and are relayed to the septal nucleus--which is also implicated in memory (Gage et al., 1983; Olton, 2010). Injury to the mammillary bodies is typically associated with "diencephalic" amnesia (Victor & Adams, 2013; Victor et al., 1971). In addition, the hippocampus acts directly on the DMT, and on the orbital frontal lobes, and via the entorhinal cortex can act on the neocortex. In this manner the hippocampus can transmit to and keep track of where memories are stored, while simultaneously acting to store them in select neocortical regions. This is accomplished by simultaneously exerting influences on the DMT while sharing reciprocal influences with the orbital frontal lobe which also projects to the DMT. Specifically, layer 2 of the hippocampus consists of pyramidal neurons which provide excitatory output and thus act to activate and arouse target tissues; via the transmitters glutamate and aspartic acid. In addition, the entorhinal cortex provides excitatory input into the hippocampus--input which is derived from the neocortex; using again, aspartic and glutamate acid (reviewed in Gloor, 2007). 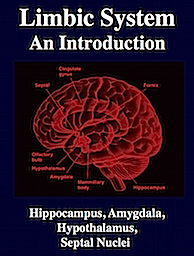 It thus appears that the hippocampus can interact with the neocortex is regard to arousal and memory storage via the dorsal medial nucleus of the thalamus and the entorhinal cortex, and can excite, for example, inhibitory circuits in the DMT (in conjunction with the frontal lobe) so as to direct neocortical activity, and perhaps coordinate this activity in regard to memory storage. In other words, these structures interact to insure that a certain neocortical area is selected for memory storage (via excitation), while simultaneously inhibiting and preventing information access in other areas. Memories can be stored and the hippocampus and frontal lobes, via the DMT, can keep track of where they are stored. Information is relayed to the neocortex via the thalamus which in turn is under the regulatory influences of the frontal lobes. involves regulation of information flow to and within the neocortex. This is accomplished, in part, via projections linking the frontal lobes with the dorsal medial thalamic nucleus--a structure which participates in the transfer of information to the neocortex and which display neuroplasticity (Jones & Pons, 1998). 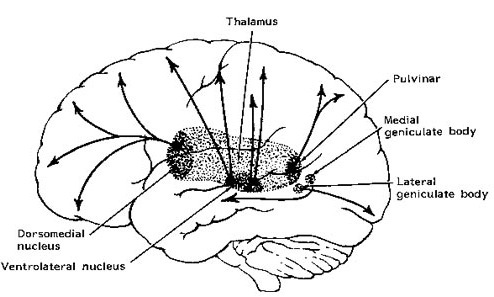 Fibers passing to and from the thalamus and the cortical sensory receiving areas give off collaterals to the reticular thalamic nucleus--which in addition sends fibers which envelop and innervate most of the other thalamic nuclei (Scheibel & Scheibel, 1966; Updyke, 1975). The reticular thalamus maintains reccurent inhibitory interconnections with other thalamic neurons (Huntsman et al., 1999) and acts to synchronize and selectively gate transmission from the thalamus to the neocortex and continually samples thalamic-cortical activity (Skinner & Yingling, 1977; Yingling & Skinner, 1977). The reticular thalamus is controlled by the lateral convexity of the frontal lobes, and the lateral portion of the dorsal medial thalamus with which it maintains dense interconnections (Skinner & Yingling, 1977; Yingling & Skinner, 1977). The convexity and lateral dorsal medial nucleus (LDM) are also richly interconnected and together exert significant steering influences on the reticular thalamus. That is, the lateral frontal convexity appears to exert specific influences on the LDM so as to promote or diminish the flow of information to the cortex and thus modulate specific perceptual and cognitive activities occuring within the neocortex --activity which it is simultaneously sampling. 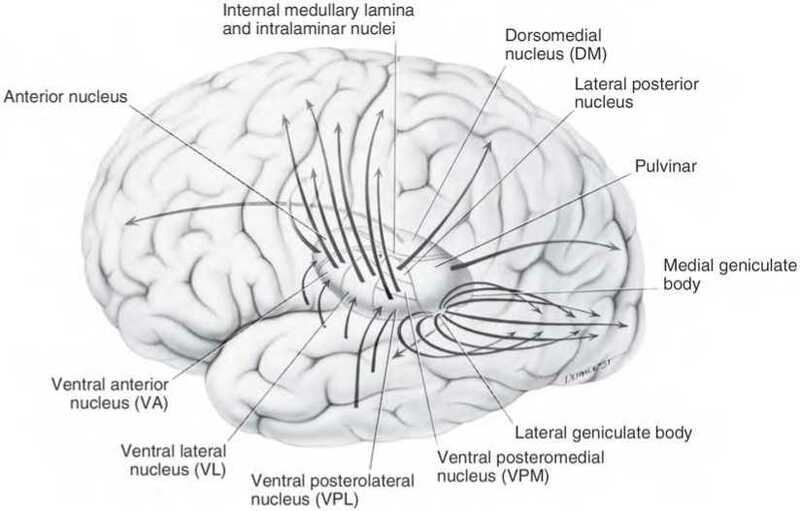 This is in contrast to the orbital region with its connections to the reticular formation and the medial magnocellular segment of the dorsal medial thalamus, and its influences on generalized arousal and limbic activation/inhibition. To recapitulate, the lateral frontal system is able to influence cognitive/perceptual cortical functioning via the sampling of activity occurring throughout the neocortex at all levels of informational analysis, and via its modulating influences on the lateral portion of the dorsal medial and reticular thalamic nuclei. The lateral frontal region is thus able to act at any stage of processing, from initial reception to motor expression so as to facilitate or inhibit further analysis, selectively acting to determine exactly what type of processing occurs throughut the neocortex. 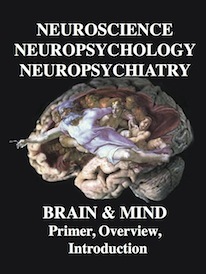 Via integration and inhibitory action and through its neocortical and thalamic links the lateral convexity it is able to coordinate interactions between various regions of the neuroaxis so as to organize, mobilize, and direct overall cortical and behavioral activity and to minimize conflicting demands, impulses, distractions and/or the processing of irrelevant information. When thalamic output increases, the amplitude of cortical responses also increases (Steriade & McCarley, 2010). However, the thalamus, in turn is also under the control of the lateral and orbital frontal lobes which also exerts significant modulatory influences on the brainstem reticular formation while it simultaneously monitors neocortical and thalamic activity (Joseph, 1999a). 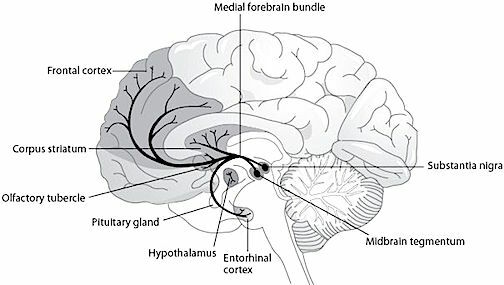 Via the frontal lobe, the thalamus and the reticular formation can be activated or inhibited selectively or globally so that specific sensory modalities are attended to while others are filtered or suppressed so that the organism can engage in selective attention and information processing. Similarly, the amygdala remains capable of inducing arousal as well as EEG desynchronization (Kriendler & Steriade, 1964; see chapter 14). This is because the amygdala is also intimately interlinked with the upper brainstem reticular formation (Takeuchi et al., 1982), as well as the frontal lobe and thalamus. Hence, when stimulated, the amygdala can induce alerting reactions and arousal (chapter 14), as well as PGO waves (Calvo, et al. 2007), which in turn are associated with the onset of paradoxical sleep and brainstem activity. In addition, the medial and lateral portions of the posterior hypothalamus also project to the midbrain reticular formation (Steriade & McCarley, 2010), as does the preoptic regions of the hypothalamus (Swanson, et al. 2007) -a region intimately involved in sexual behavior and sexual posturing (chapter 14). 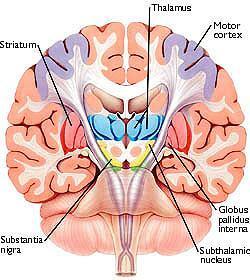 The hypothalamus is also intimately linked with the orbital frontal lobes and the amygdala. Therefore the hypothalamus, being exceedingly involved in all aspects of rudimentary motivational and emotional functioning is also important in arousal and the waking state (Ranson, 1939), and if the posterior regions are damaged there can result severe apathetic states. Movement and motor functioning are dependent on the functional integrity of the basal ganglia, brainstem, cerebellum, cranial nerve nuclei, spinal cord, the primary, secondary and supplementary motor areas of the frontal lobes, as well as the medial thalamus. Indeed, these areas are all interlinked and function as an integrated system in the production of movement (Mink, 2007; Mink & Thach, 1991; Parent & Hazrati 1995; Passingham, 2007). 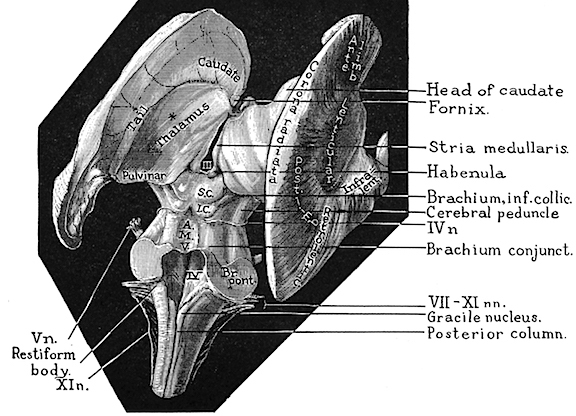 As noted, the motor thalamus evolved in tandem with the basal ganglia and is richly interconnected with the caudate nucleus and globus pallidus in particular (Crossman, et al. 2007; Parent & Hazrati 1995; Powell & Cohen, 1956; Royce, 2007). It is an integral aspect of the motor circuit and becomes activated when making a variety of movements and in response to kinesthetic and proprioceptive stimuli (Vitek et al. 1994). 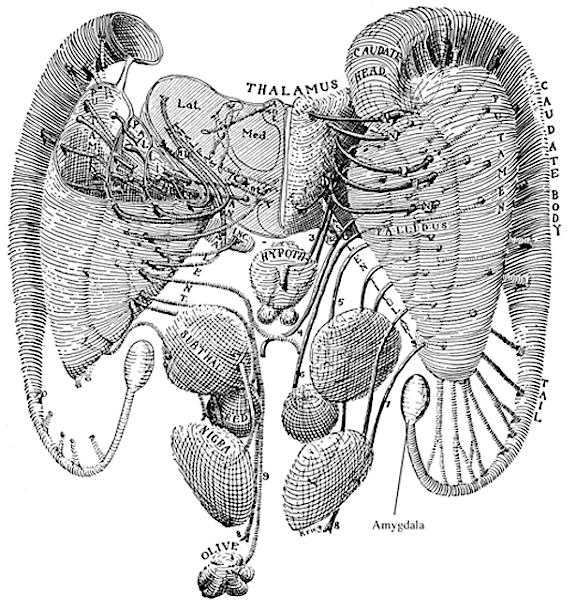 The motor thalamus consists of the ventromedial, ventrolateral, ventralis intermedius, centromedian and parafascicular (posterior) intralaminar thalamic nuclei, and receives input from the brainstem, cerebellum, and neocortex, and maintains reciprocal projections with the GP and SMA (Carpenter 1991; Brodal, 1981; Kemp & Powell, 1970; Narabayashi, 2007; Royce, 2017; Vitek et al. 1994). These thalamic "motor" nuclei also receive input from the facial, leg, and arm regions of the motor and somatosensory cortex (Kunzle, 1976; Vitek et al. 1994) and maintains reciprocal interconnections with the amygdala, cingulate gyrus, substantia nigra, and superior colliculus (Jones et al. 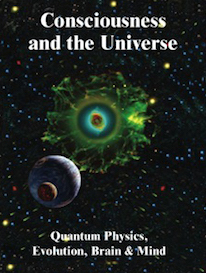 2009; Mesulam et al. 1977; Royce, 2017; Vogt et al. 2009). Thus the motor thalamus is intimately associated with limbic and motor nuclei throughout the brain and is able to influence as well as receive multiple inputs from a variety of nuclei which in turn are interlinked. For example, some intralaminar thalamic nuclei send collateralizing axons which project to both the striatum and the neocortex, whereas some motor neocortical axons project to both the striatum and the intralaminar nuclei (Royce, 2007). Hence, a richly interconnected neural circuit is maintained by these nuclei so as to control and guide motor functions. In some respects the motor thalamus appears to act as a nexus where multiple forms of input are integrated so as to regulate motor activity. Therefore, when the motor thalamus is abnormally inhibited or activated, significant motor abnormalities result; e.g., rigidity, tremor, ballismus, catatonia, and catalepsy. For example, unilateral infarcts and hemorrhages involving the thalamus can induce unilateral thalamic ataxia and apraxia (Nadeau et al. 2004; Solomon et al. 1994). Conversely, injuries or surgical destruction of the specific thalamic nuclei can in some instances eliminate or reduce the influences of abnormal activity received from other regions within the motor circuit (Marsden & Obeso, 1994; Narabayashi, 2007). For example, patients suffering from Parkinsonian symptoms appear to derive the greatest benefit from thalamic lesions which abolish contralateral tremor and rigidity (see Marsden & Obeso, 2014) via disruption of the GP-motor thalamus-frontal motor area motor circuit. Specifically, there is evidence which indicates that destruction of the ventrolateral (VL) motor thalamic nuclei can reduced rigidity (if the lesion is more anterior), or tremor (if the lesion is posterior). Neurosurgical destruction of the GP to motor thalamus projection fibers can also significantly decrease rigidity, whereas section of the thalamic to brainstem/cerebellum pathway also reduces tremor (see Narabayashi, 2007). Moreover, VL lesions can significantly reduced choreic and ballistic movements such as secondary to trauma or encephalitis. In addition, neurosurgical destruction or electrical stimulation of these nuclei (e.g. ventralis intermedius) can eliminate tremors (see Narabayashi, 2007). Indeed, neurons in the motor thalamus not only fire in tandem with tremor, but electrical stimulation of this nuclei at a frequency similar to the tremor, increases the frequency and amplitude of the tremor. 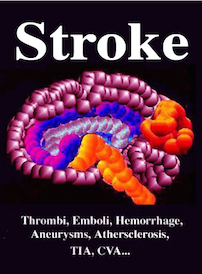 However, high levels of thalamic stimulation reduces or abolishes tremor (Narabayashi, 2007). The subthalamic nucleus is a small but densely innervated component of the basal ganglia-thalamocortical-limbic motor circuit. It maintains a very important reciporcal relationship and is richly interconnected with the medial and lateral GP (Crossman, et al. 2007; Parent & Hazrati 1995; Wichman et al. 1994) and merges medially with the lateral hypothalamus with which it is intimately linked. The subthalamic nucleus also receives extensive and topographic projections from the neocortical motor areas including inhibitory axonal fibers from the frontal lobes (Parent & Hazrati 1995). 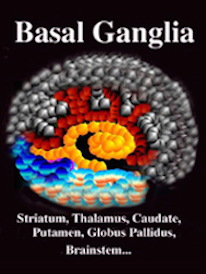 It also projects to the caduate, putamen, SI and brainstem reticular formation, and provides excitatory influences to the substantia nigra and other target nuclei (Klockgether, et al. 2007; Parent & Hazrati 1995) and thus influences the nigrostriatal dopamine system and a wide variety of brain areas via separate pathways (Wichman et al. 1994). Due to its interconnections with so many motor related areas of the brain (as well as the limbic system), the subthalamic nucleus is able to exert significant, albeit indirect as well as direct influences on motor expression which is accomplished in conjunction with the nigro-striatal DA system and the GP which in turn modulates subthalamic activity and its reception of cortical input (Parent & Hazrati 1995; Wichman et al. 1994). Hence, the subthalamic nucleus appears to also exert modulating influences on movement (although it also serves non-movement functions), especially those involving the proximal limbs. Specifically, subthalamic neurons are somatotopically organized, such that those representing the hand, arm, leg, or eyes, are clustered together, and these clusters change their activity during eye, or limb movements (Wichmann, et al., 1994). In fact, they increase their activity just prior to movement. Abnormalities localized to or involving the subthalamic nucleus can therefore result in significant motor disturbances including chorea and hemiballismus (Crossman, et al. 2007) including sudden and involuntary flinging movements of the arm or leg--movements that might be appropriate if engaged in defensive maneuvers. However, patients can still make normal voluntary movements. 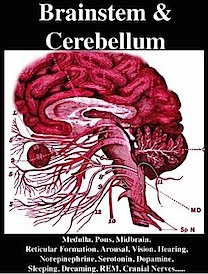 Chorea and hemiballismus are due presumably to interruption of the normal GABAinergic reciprocal relationship it maintains with the caudate, putamen, and in particular the GP (McGeer & McGeer, 2007; Parent & Hazrati 1995). That is, due to loss of inhibitory GP input, the patient makes sudden and involuntary movements, due to excessive activity directed, ultimately, the motor neocortex. Hence, again, these are normal movements which are abnormally produced if the subthalamic nucleus is injured or receives abnormal signals. For example, Parent and Hazrati (1995) argue that inhibitory influences exerted on the motor thalamus, neocortex, or subthalamic nucleus by the GP can result in akinesia if GP activity is reduced, or hyperkinesia if enhanced. Similarly, Crossman et al (2007) argue that in hyperkinetic states the medial GP and subthalamic nucleus is underactive and the lateral GP is overactive. In Parkinsons and akinetic disorders, the medial GP and subthalamic nucleus is overactive whereas the lateral GP is underactive (Crossman, et al. 2007). Conversely, lesions of the subthalamic nucleus can result in increased activity within the GP and motor thalamus, such that the motor thalamus, SMA and brainstem become hyperactivated, which results in excessive movement including ballismus. If the GP is subsequently destroyed, hemiballismus disappears. However, in one case it has been reported that a hemorrhage involving the subthalamic nucleus, resulted in the amelioration of a patients Parkinson's symptoms (Wichmann et al. 1994).